The top increase is from LegacyTexas Financial Group (LTBX), the bank holding company for LegacyTexas Bank that provides banking and financial services in North Texas. LTBX announced a spectacular increase of 38% and now yields 2.19% at $40.14 per share. 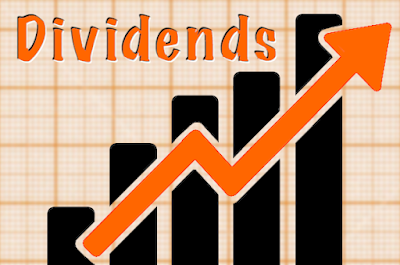 Texas Instruments (TXN) confirmed its dividend increase of 19% announced earlier. The stock now yields 3.13% at $98.26 per share. 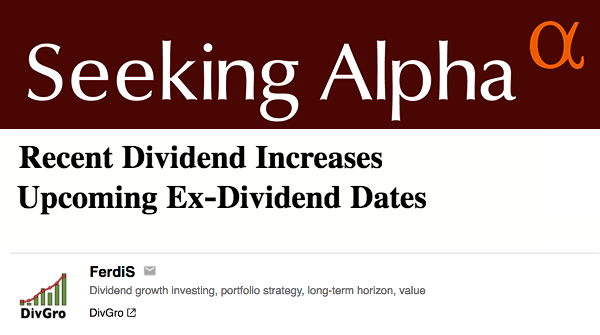 Please feel free to leave comments on this article either at Seeking Alpha or here, on my blog. I'll do my best to respond to each comment as quickly as possible.